The codeshare on Brisbane-Honolulu will be effective April 17 and adds to Virgin Australia’s existing codeshare on the US carrier’s Sydney-Honolulu service, Hawaiian said on Monday. Meanwhile, Hawaiian will add its HA airline code on Virgin Australia-operated flights from Brisbane and Sydney to Cairns, Mackay, Melbourne and Townsville from April 3, as well as on select trans-Tasman services, including Christchurch, Dunedin, Queenstown and Wellington. “We’re pleased to announce an expansion to our existing codeshare agreement with Hawaiian Airlines, one of our first codeshare partners, which means guests of both airlines will now enjoy more opportunities to travel between our wonderful destinations in Australia, New Zealand and Hawai’i,” Virgin Australia general manager of alliances Phil Squires said in a statement. 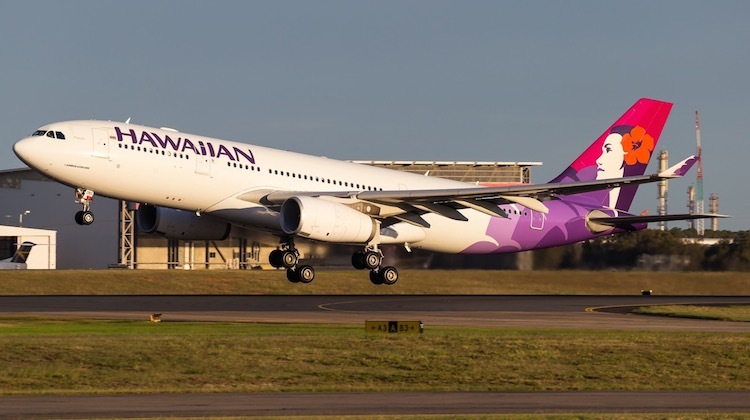 The two carriers established a codeshare partnership in 2011, when Virgin Australia added its VA airline code on Hawaiian’s Sydney-Honolulu nonstop flight and on connecting services beyond Honolulu to three Hawaiian islands – Maui, Kauai and The Big Island. Meanwhile, Hawaiian offered interline connections beyond Sydney on Virgin Australia-operated flights. There are also reciprocal frequent flyer benefits for members of Virgin Australia’s Velocity and Hawaiian Airlines’ HawaiianMiles. Hawaiian has served Sydney from its Honolulu hub since 2004. It added Brisbane-Honolulu in November 2012, followed by Auckland-Honolulu in March 2013. Currently, Brisbane has between three and four flights a week, depending on the time of the year, while Auckland has between four and five flights a week and Sydney is either six times weekly or daily, according to schedules on the Hawaiian website. 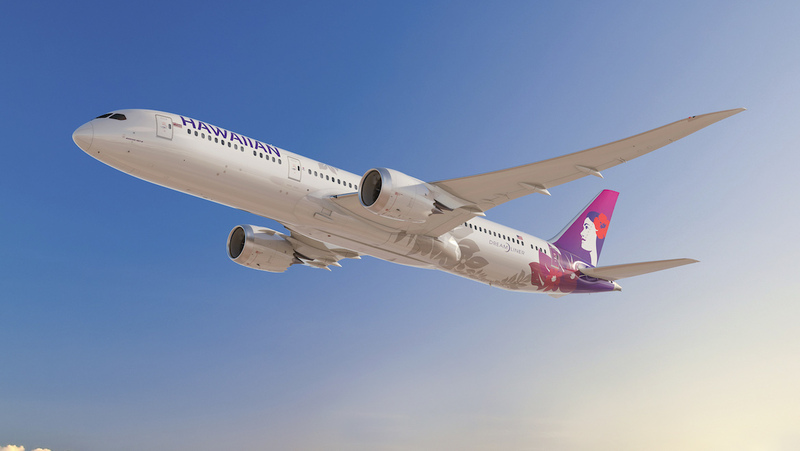 “We are delighted to expand our relationship and look forward to sharing our Hawaiian hospitality with more Virgin Australia passengers aboard our aircraft,” Hawaiian Airlines regional director in Australia and New Zealand Andrew Stanbury said in a statement. All its services to Australia and New Zealand are operated by Airbus A330-200s configured with 18 first class seats, 68 extra comfort economy seats and 192 standard economy seats for a total of 278. In March 2018, the airline announced an order for 10 Boeing 787-9s and purchase rights for a further 10 aircraft. First delivery was expected in early 2021. Qantas (Sydney-Honolulu) and its low-cost carrier Jetstar (Melbourne-Honolulu and Sydney-Honolulu) are the only two other airlines offering nonstop flights between Australia and Hawai’i. Meanwhile, Air New Zealand has nonstop flights between Auckland and Honolulu. Hawaiian has spoken publicly of being keen to forge closer ties with Virgin Australia for some time. In 2014, the airline’s then chief executive Mark Dunkerley said when in Australia for an aviation conference that Virgin Australia made a “tremendously important contribution” to Hawaiian’s flights to this part of the world. “I think we are always interested in working more closely with Virgin Australia. We have a good relationship with them and we do talk to them periodically,” Dunkerley said. Yes, but are you prepared to pay the additional fare, as Jetstar is budget. Be thsnkful. Mel is not a gateway. @ Harrison what evidence do you have to support your ‘lots of demand’ statement? Is this demand currently flying to Sydney or Brisbane to specifically fly Hawaiian? Hi Harrison, so, just to clarify, Jetstar flies twice and sometimes three times a week from MEL to HNL and is currently the only airline operating the route nonstop….and that makes you sick?! Shouldn’t you instead be asking why it is Hawaiian doesn’t get in on the action if there is so much demand, as you seem to know? Running an airline is a finely tuned business. We all have emotive wishlists for routes we’d love to see operated by our favourite airlines, but history is littered with the memories of so many airlines which no longer exist. Reality more than emotion determines airline operations. Or perhaps it’s just that Hawaiian lacks sufficient aircraft to operate HNL-MEL-HNL, as you suggest is the reason for Jetstar’s limited weekly flights on the route? Whatever, there’s no reason to bag Jetstar for actually providing the service!! (And no I don’t work for Jetstar.) Mike.